This Fourth of July weekend, we’re excited to hop-off the bus for an amazing sightseeing cruise in the New York Harbor. 4th of July Cruises during the Macy’s Fireworks show are officially sold out, but there are still tons of cruises running throughout the day! Head over to Pier 78 for an exciting City Sightseeing Cruise that will operate 40 minute cruises all weekend long from 10:00am to 5:00pm. Pier 78 located at West 38th Street and the Hudson River. The cruise is $28 for adults and $17 for kids. 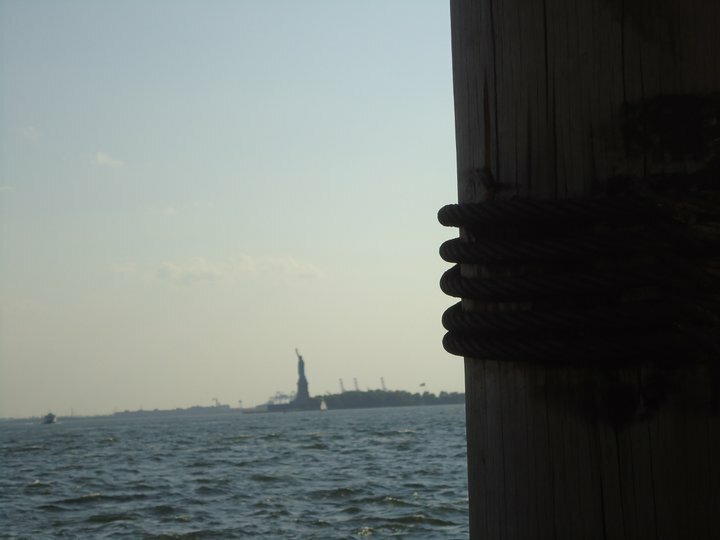 The boat will tour the Manhattan Coast and stop near the Statue of Liberty for an amazing photo opp! The Macy’s Fourth of July fireworks begin at 9pm on Monday, July 4th. Over 40,000 fireworks will be launched from 6 larges barges in the Hudson River, so make sure to check them out! The theme of this year’s show is The Gift of Freedom which celebrates the 125th anniversary of the Statue of Liberty and 235th birthday of the United States. What’s your favorite location to watch the 4th of July fireworks in NYC? Oh sweet summertime, we at Gray Line New York are definitely big fans of you. 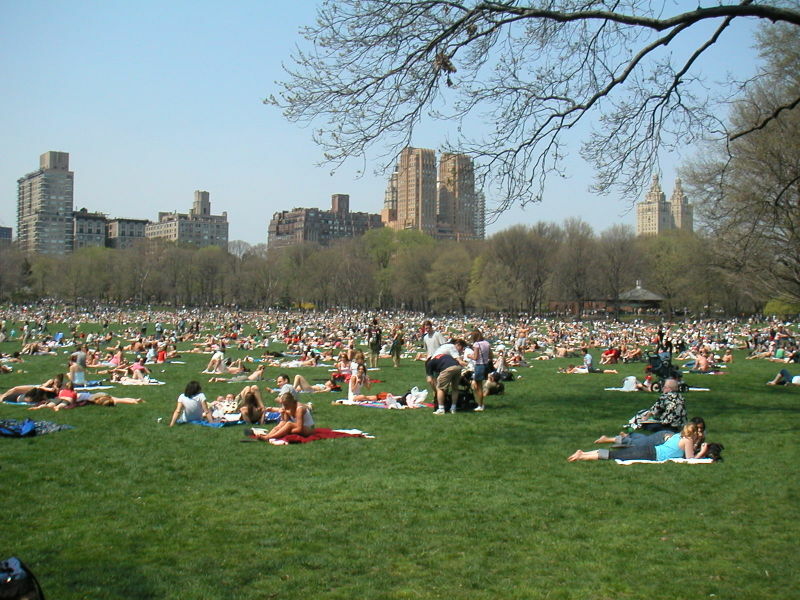 From your perky golden rays of sunshine, to your abundant fields of green grass in Central Park– we cannot get enough. 20. 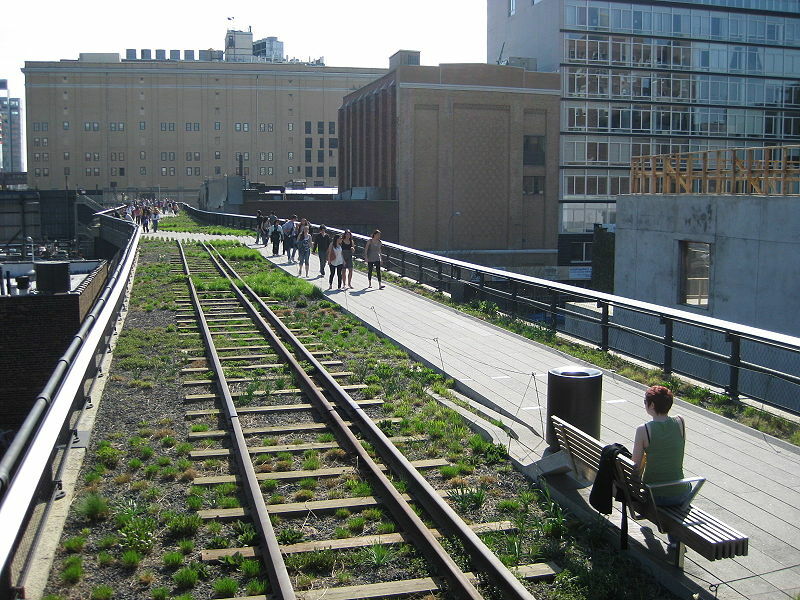 Explore the newly opened section of High Line Park. What’s on your NYC Summer Bucketlist? Father’s Day is this Sunday, June 19th, and if you’re still trying to figure out last minute plans, boy do we have a list for you. 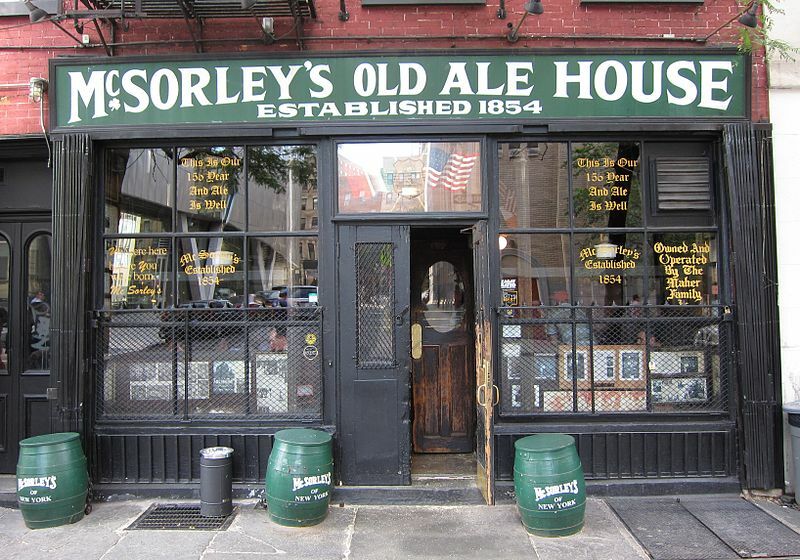 Go back in time when you step into McSorely’s Ale House in the East Village. Established in 1854, this charming, hole in the wall bar has become a New York institution. Famous for the McSorley’s Ale, this manly Irish joint is the oldest bar in the city. Sit back, relax and enjoy a few beers to celebrate Father’s Day. 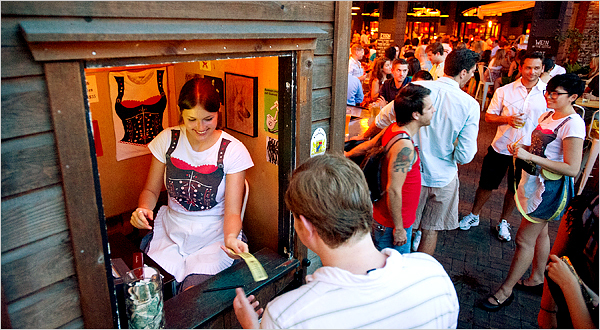 If you can only hop-off at one of these locations on the list, Standard BierGarten is hands down the place to go. Located in the trendy (is that still cool to say?) Meatpacking District, Standard Biergarten has community style tables, $8 German draft beers and fresh-baked pretzels the size of your head. Cheers to Dad! After hanging out in the Biergarten, walk a few blocks south to Highline Park– a public park built on an old elevated rail structure. This concrete jungle is a New Yorker’s version of hiking in the outdoors. 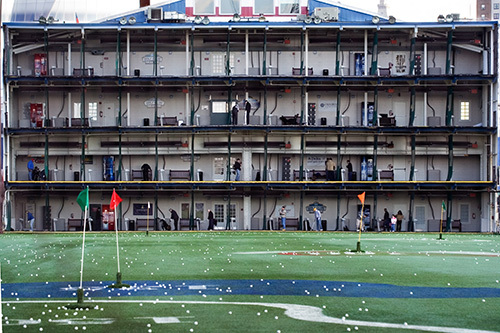 This multilevel, year-round driving range has been featured in a ton of movies! Practice your swing and get ready for a fun round of golf with Dad. It’s every mans dream to work on Wall Street. 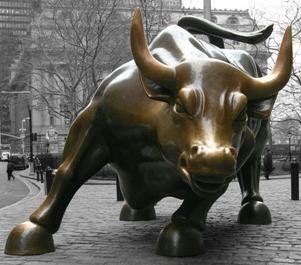 Hop-off and explore the cobblestone streets, take a picture with the bull & gaze up the noble steps of the NYSE. 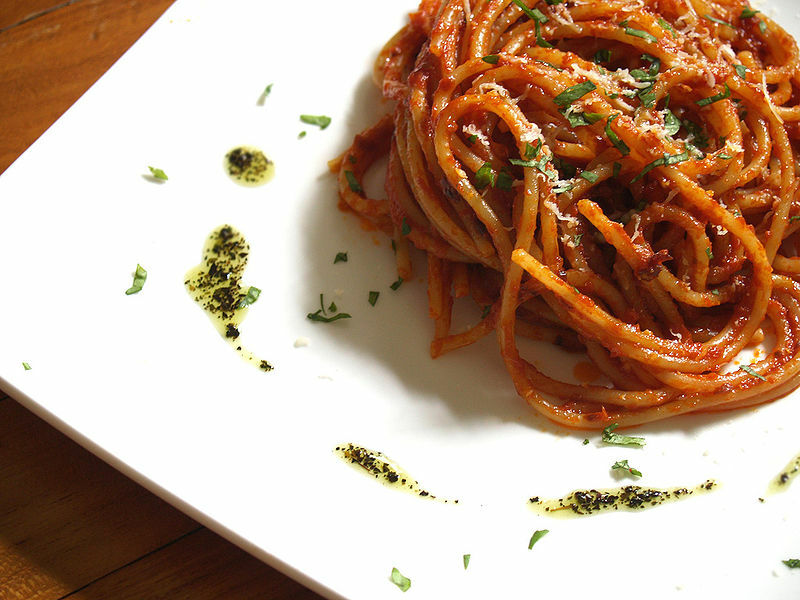 End the day with a huge, traditional Italian feast in Little Italy. Our Night on the Town Tour and Manhattan Comprehensive both include a yummy dinner at Grotta Azzura. Founded in 1908 by the Davino family, Grotta Azzura is one of New York City’s famous and oldest Italian Restaurants in the heart of Little Italy. What places would you recommend to take Dad in NYC? Many of us in the Gray Line New York corporate office are foodies at heart. 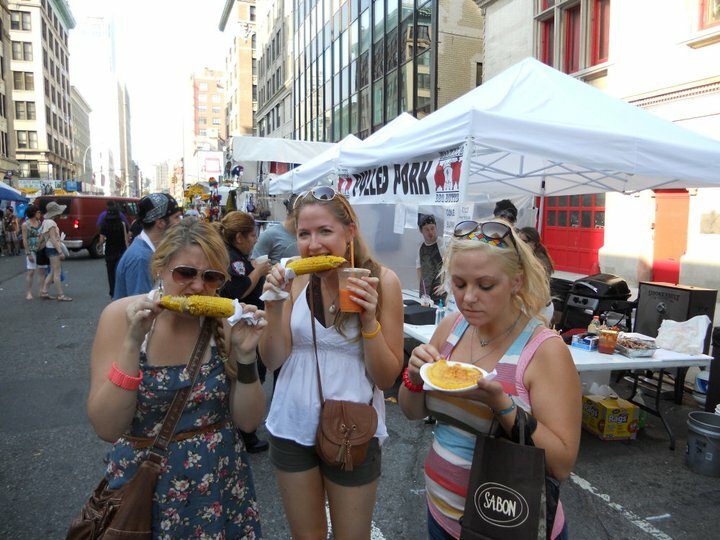 Lindsay (Marketing), Shannon (Social Media) and their friend devouring $3 corn on the cob at a Chinatown Street Fair. Thankfully, we constantly receive daily tweets about local NYC foodie events! We share many of these yummy local gems on our Facebook and Twitter accounts, so make sure to follow us there. Tackling the New York City restaurant scene can feel slightly intimidating at first, but hopefully these tips will help steer our fellow foodies in the right direction. On that note, did you know that today, June 8th, is National Jelly-Filled Donut Day? So, where to go for the best, mouth-watering doughnut in NYC? 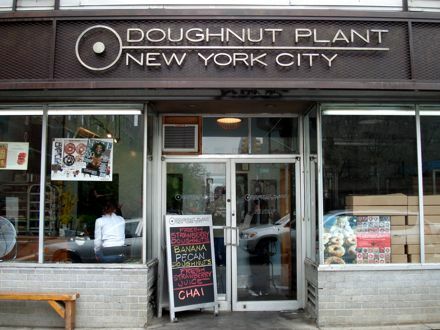 That my friends, would be the Doughnut Plant. Located in the Lower East Side and rated 4.5 out of 5 stars on Google, we promise this place is legit. To experience love at first bite, try their extremely popular Peanut Butter Glaze Blackberry Jelly Doughnut. Peanut Butter Glaze Blackberry Jelly Doughnut - photo via http://existentialdilemmas.blogspot.com. Your taste buds will instantly thank you for it. What’s your favorite kind of doughnut? We love anything with sprinkles! You haven’t really experienced this national holiday until you’ve seen the Macy’s 4th of July Fireworks Spectacular from a boat in the middle of New York Harbor. 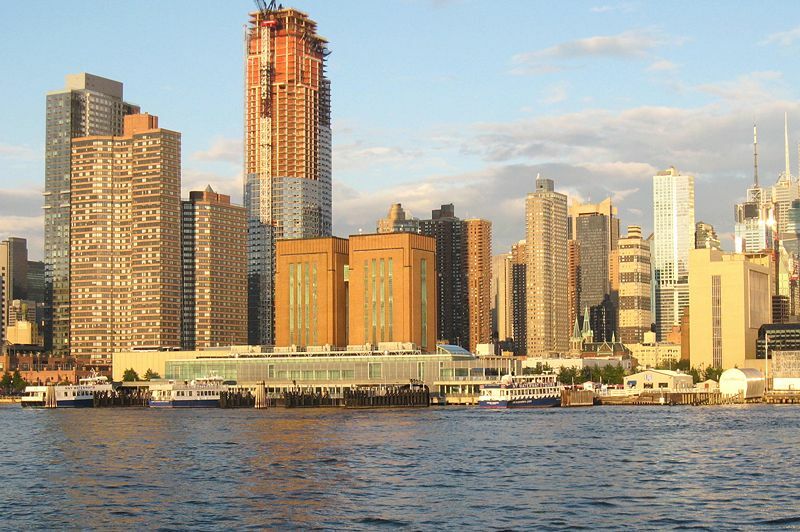 Hop on board Gray Line New York’s 4th of July fireworks Cruise for a most memorable spectacle! Feel the warm summer breeze on your face as you gaze up at the night sky as it comes to life with the vibrant colors of this world-class fireworks display.